Miriam starts her front rack journey while Shana and Christine keep the engine running for her. While Partner #2 does burpees. 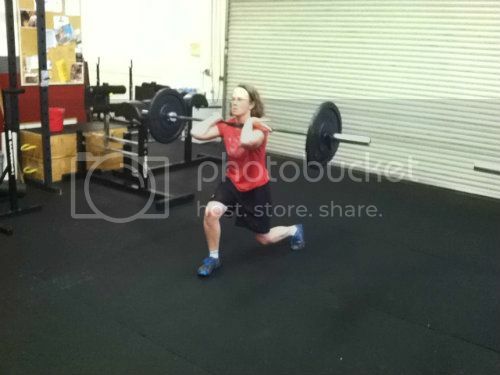 6 Back Rack Lunges- 6 Back Squat - 10 Back Rack Box Step Ups - 6 Back Squat - 6 Back Rack Lunges..
**Burpees are the engine. When burpees are being done, the barbell course can be performed. When burrpees stop, the engine is turned off and the team has to rest.